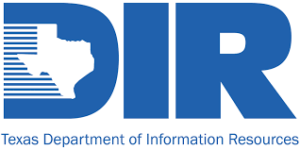 The Texas Department of Information Resources (Texas DIR) offers Deliverables-Based IT Services (DBITS) to public entities (State, Local and Educational), both within Texas and outside the state through DIR’s Cooperative Contracts Program. Definition: Information Technology Procurement Assistance services may include assistance in IT Statement of Work (SOW) and/or Request for Offer (RFO) development. Procurement assistance activities may include requirements gathering, scoring criteria development, and evaluation criteria development. Examples of included services: specification development, Statement of Work (SOW) development, and RFO development for IT products and services. Step 2. Customers should send the Statement of Work to at least three (3) vendors that offer the Technology Category requested. Step 3. Vendors provide a written response. Step 4. Customers and vendors work together to improve the SOW, negotiate pricing of deliverables and negotiate terms and conditions.